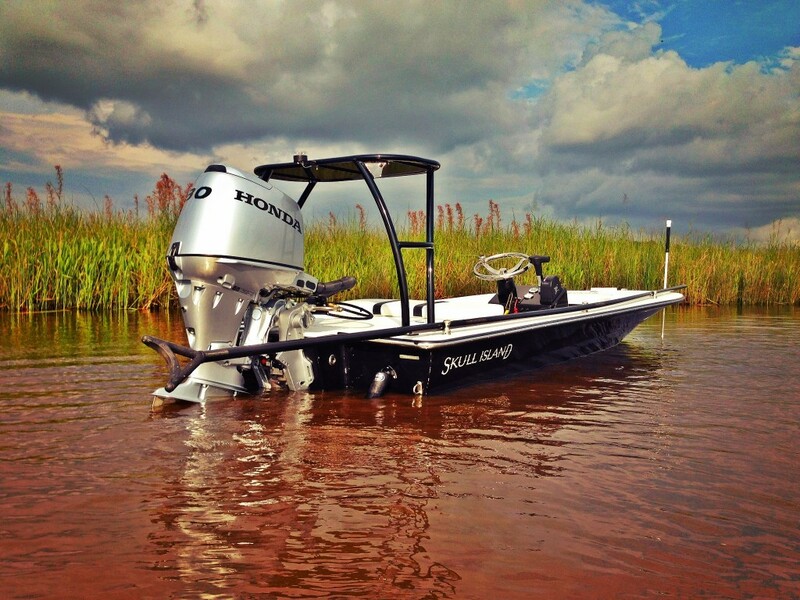 Skull Island has been making it’s mark on the skiff community in the last year. They have been putting out top notch skiffs with attention to detail rivaling Hell’s Bay- pretty much the benchmark for the modern flats skiff. 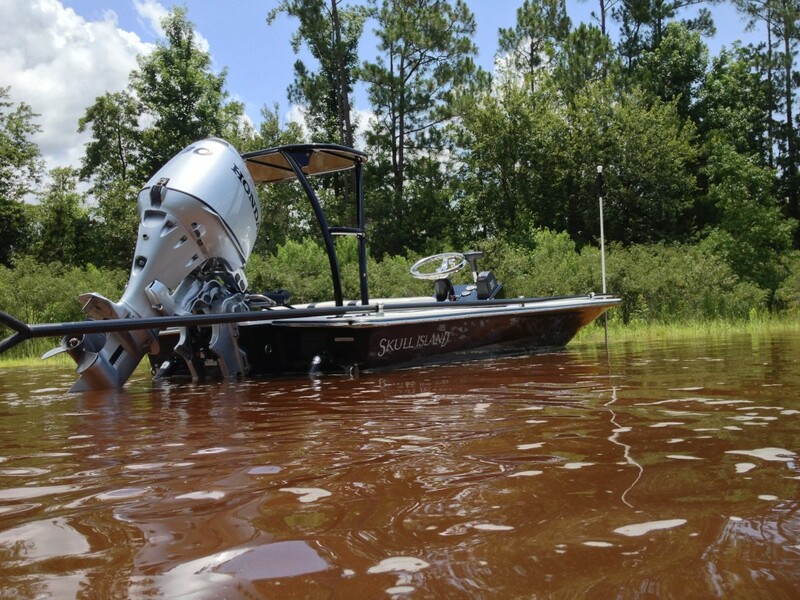 A new Skull Island 16 was just picked up last week by Eric in Louisiana, and it is one sick looking skiff. In fact- it’s worthy of being this months ‘badass skiff’! Eric had his skiff done in black and matterhorn white with black accessories, and a side console powered by a brand new 30hp Honda. When looking at the pics, all you can say is “Wow!”. 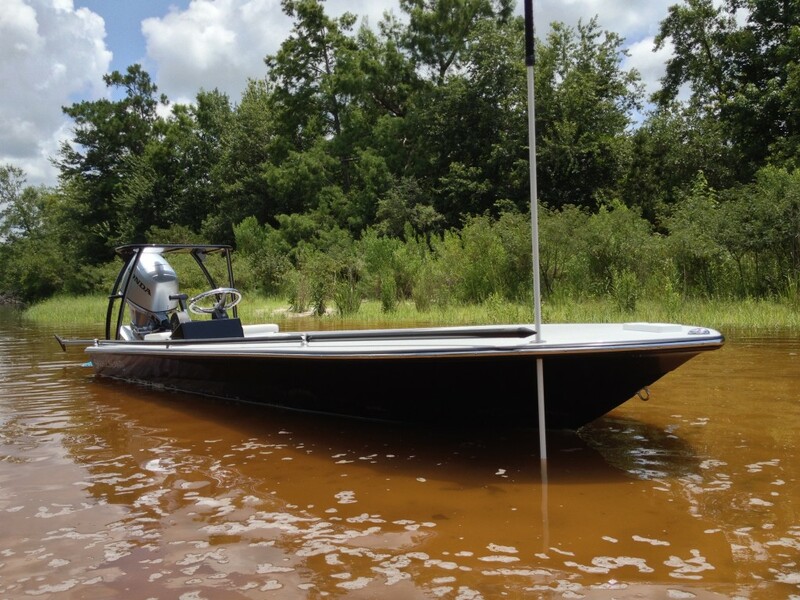 You can find this skiff and its owner running the Louisiana marshes and Mississippi Sound. Funny how people concentrate on the small things, like the stake out system. 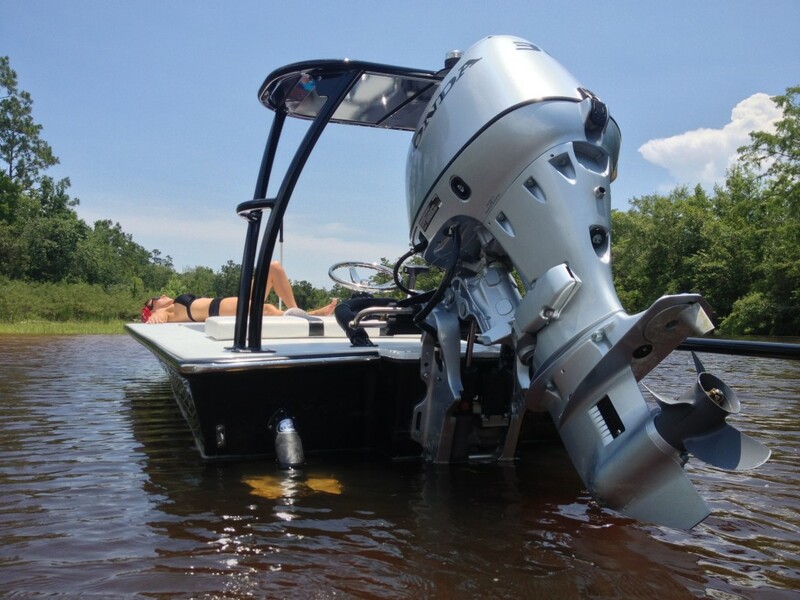 What is special is that the boat is make with kevlar – that’s the only package they offer. I understand that they advertise a 4″ draft for the tiller, and the console drafts 5″. It’s got a 12 gallon tank and with the Honda 30 on it you can get 150 miles out of a tank. That’s unreal.